When we talk about style and specific tastes in design, more often than not, our preferences continuously change. Which is why, choosing the right design for your future home should be the kind that fits or exudes one's personal style. Also, to emphasise, one must take note that it is a structure that will remain with you for a very long time, so it is better take closer attention to all the details. To help you find the one that suits you best, then let Homify tour you around some awesome houses. 1. 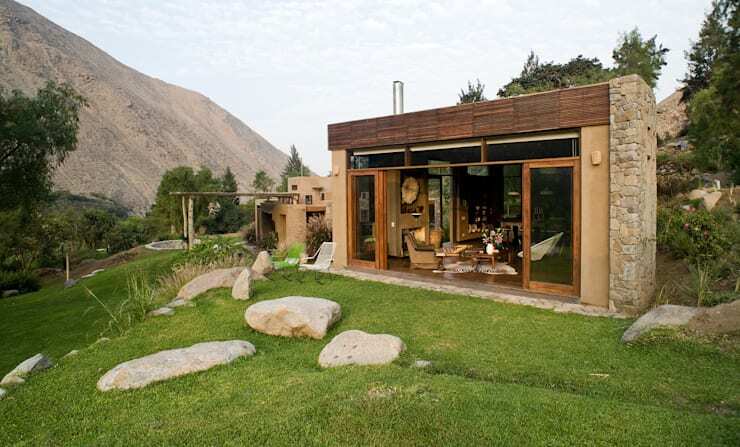 Feel closer to nature with a house made of stone and wood. This home gives off a certain comfortable ambiance—one that is both familiar and new. There was a time when stone houses were the hottest trend, but now you will only see them in places that are frequently visited by typhoons. Since the Philippines do have wet and dry seasons, I would recommend this type of structure as a good investment. In wet seasons or during typhoons, the stone foundation remains sturdy, withstanding strong winds and heavy downpours, and then during dry seasons, these stone walls have the capability to cool down the temperature of your home and ward off the summer heat. Given these attributes, we'd like to show you this design. 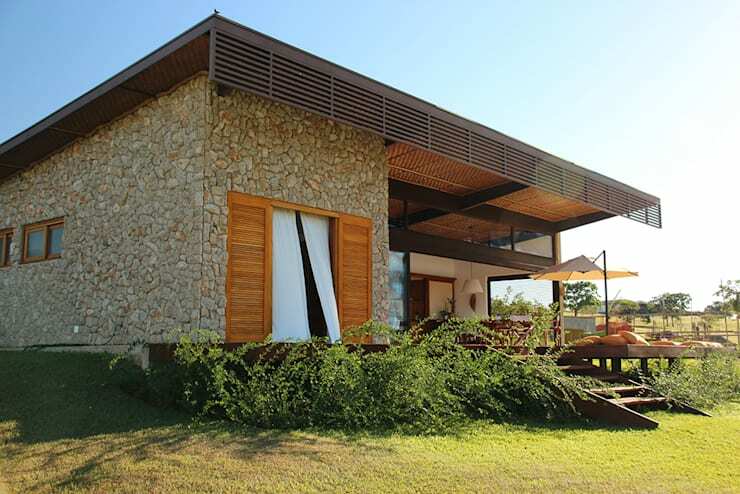 Check out that modern take on the house made of stone. Looking at it may just as well make anyone crave grandma's cooking but at the same time, be amazed by that modern twist. 2. 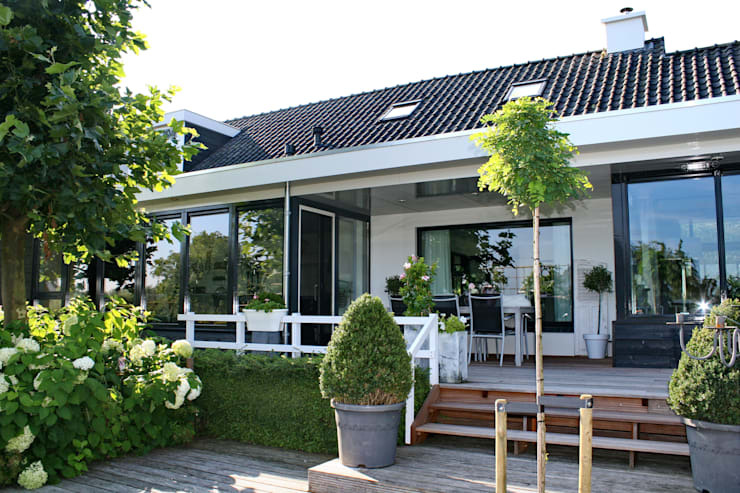 Minimalistic wooden home surrounded by an open deck. 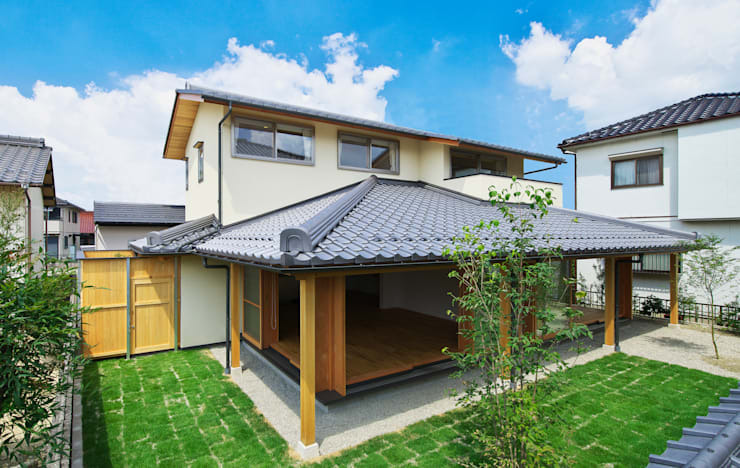 This single-storey Japanese architecture can be easily adapted to tropical countries. It is very airy with a few glass sliding doors. The elevated deck gives a nice extension to the house, making it feel spacious, elegant and minimalistic. It's simplicity speaks volumes at it is also a place of zen. Using wooden plats for the walls with unconventional glass window placements give this house that unique modern flair. Add to that, those wonderful patches of green also creates that relaxing warm atmosphere. Why go to a resort when you can bring the resort to your own home? 4. 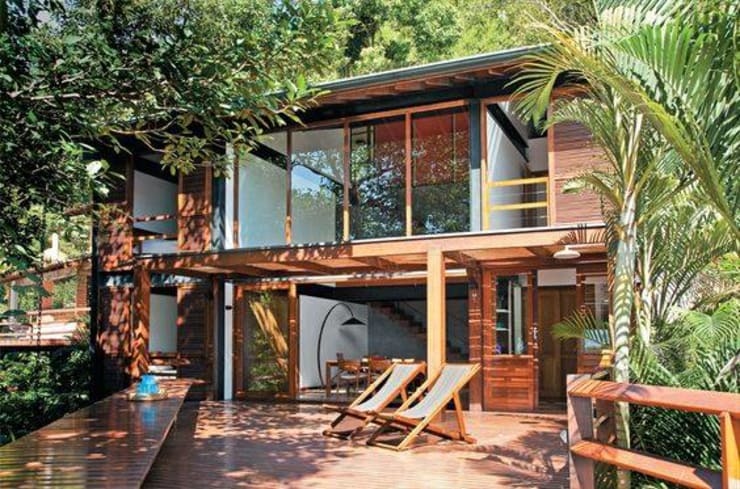 Two-storey Asian contemporary beauty. This two storey wooden house could be a home to someone who is a patron of the arts. 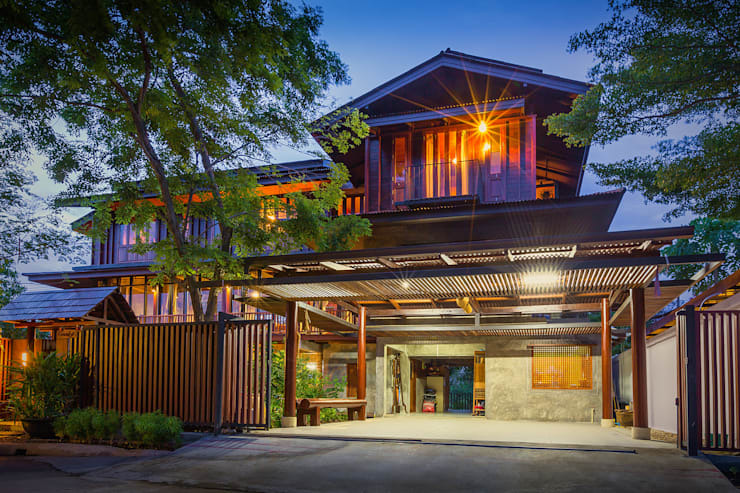 The use of glass, wood and cement has that ruggedness—that elemental grassroots feel that makes this rustic Asian home a thing of beautiful. 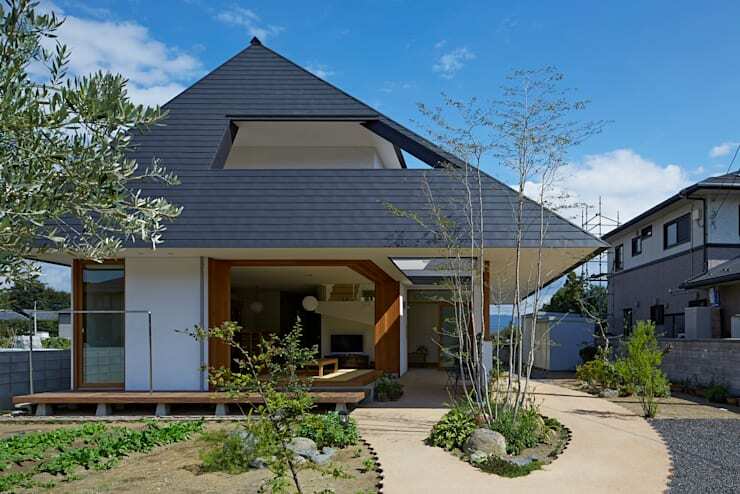 If you're a person who is all about Form and Function, then this house is for you. Being a neat freak like myself, I'm sure you would appreciate this house and definitely keep it mint clean and orderly. 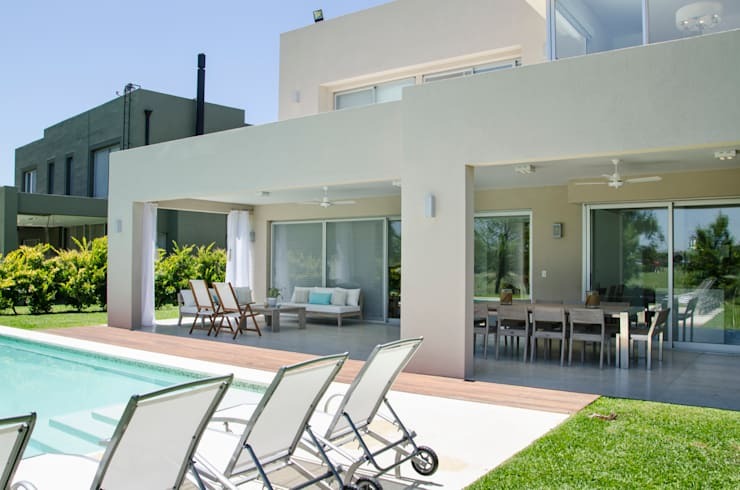 The patio along the swimming pool is also a nice feature as it could be a place for small gatherings with family and friends. 6. A rugged house for nature-lovers. If you consider yourself a cowboy/cowgirl or someone who loves a rugged atmosphere, then you better take a look at this house, it is built along the grasslands, facing a majestic view of the mountains. You can run wild and free and get down and dirty all you want, maybe even go around on a horse and gallop along the plains and return to this beautiful home where you keep all your antique collections from all your travels. The use of white stone walls is a very nice hallmark for this elegant European style house. 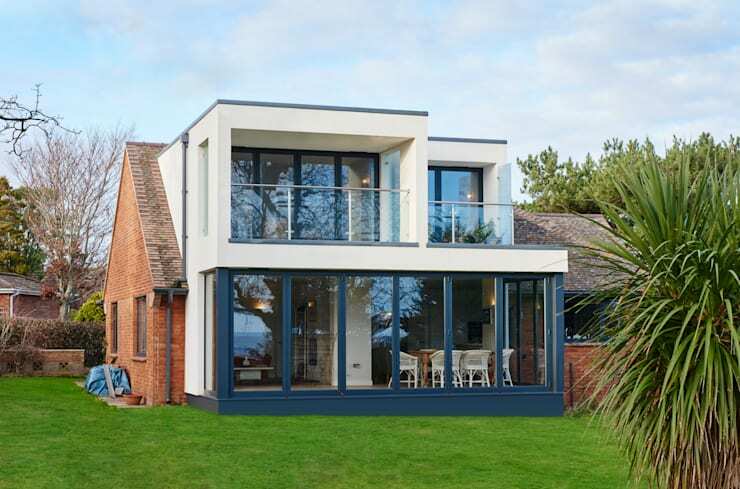 It is framed nicely with some large airy doors and windows, a gabled roof that also has a sunroof that lets more light in. It also has that nice curb appeal and accent lighting that make this house look quite romantic. 8. Modern house with a smooth cool tone. Most modern houses use monochromatic color palettes such as black, grey and white or beige tones because modern designs do tend to have distinct lines that completes that overall sleek appearance. However for this house, they matched the white color with midnight blue, a distinct and unique take that is fresh to the eyes. 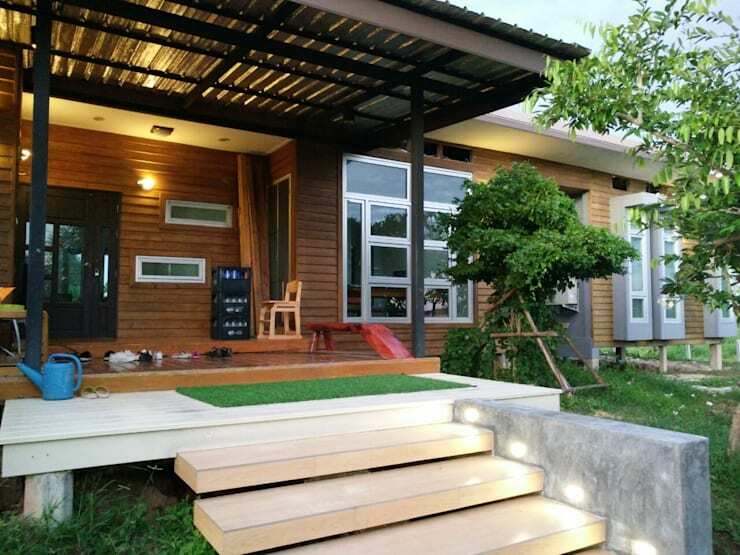 This wooden house is suitable for warm tropical countries. 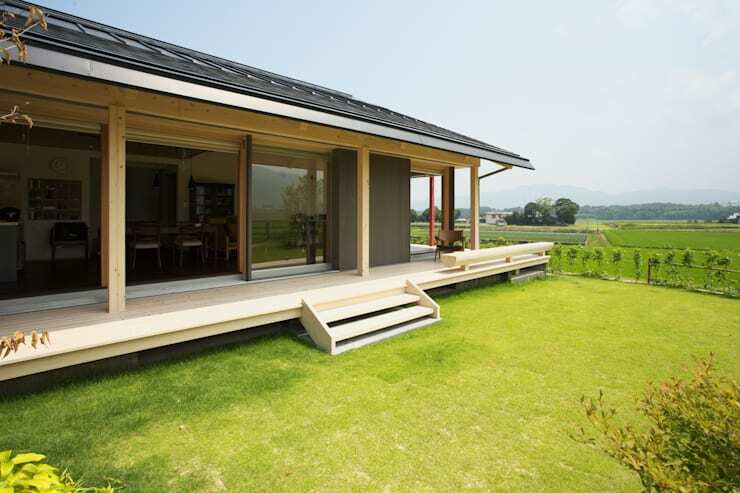 With gable roof and a wide open space with retractable wood-framed glass doors allow good air ventilation to flow all throughout the house. The design as well as the choice of furniture are all wonderful for relaxation. A minimalistic lifestyle lets people focus the the more important things in life. Being simple but classy will definitely reflect in your surroundings. 11. Spacious house for entertaining guests. 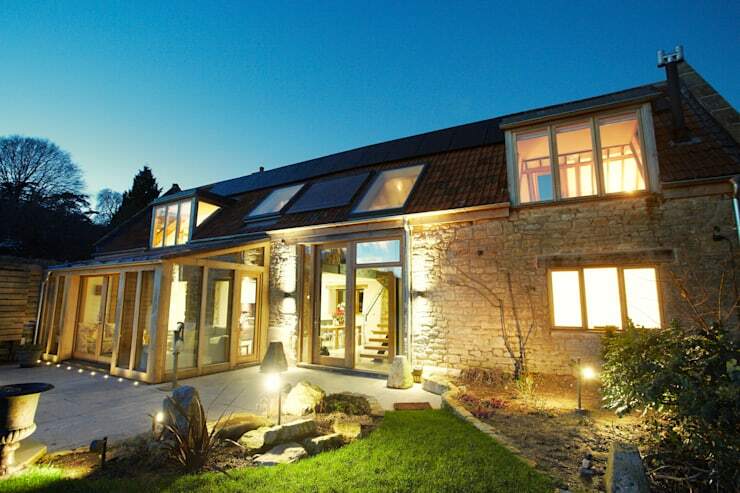 This house is perfect for people who like to entertain guests or celebrate occasions at home. It is spacious and has a lot of seating. The living room can accommodate activities or games for the entire family. 12. A house with a comfortable patio. 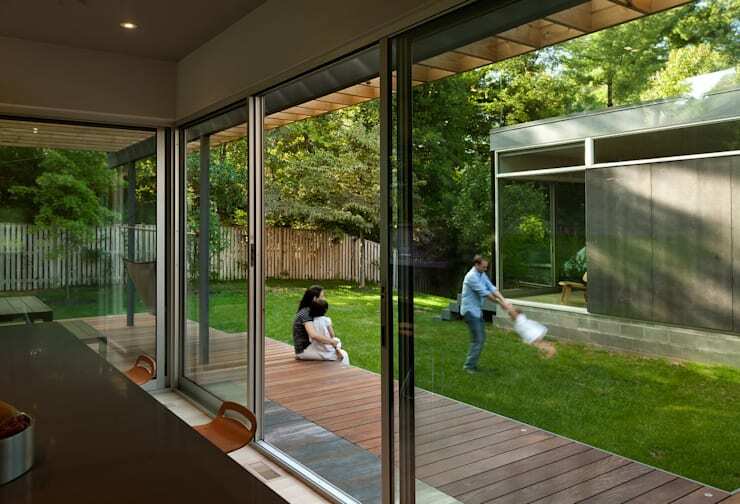 Having a patio as a common area makes the home more complete. A place where members of the family can enjoy the outdoors. Scandinavian architecture is characterised by simple and functional design originating from the Nordic countries. It may be simple but the use of black and white colors make this a very eye-catching design against the lush greens surrounding it. 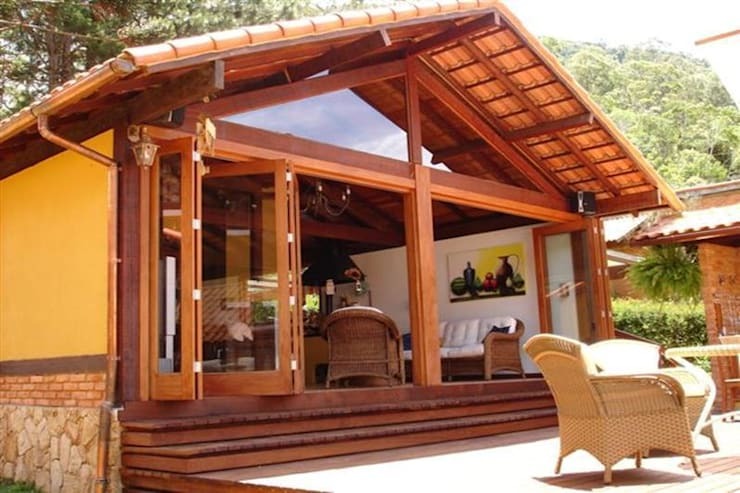 Having a house that reflects your identity or heritage is also a good option when choosing the design for your house. Whether you are half Korean or Japanese or whatnot, it would be nice to bring in a little bit of your where you came from. 15. 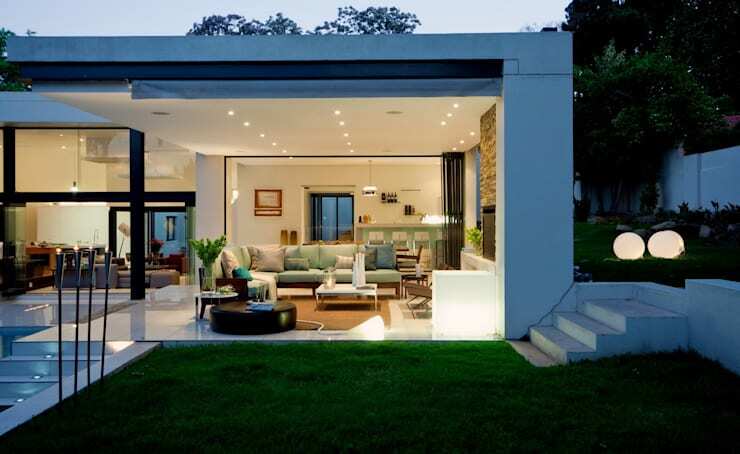 Modern single storey house with high ceiling. This may be a single storey house but the way that it has a high ceiling makes this house light and airy and larger than it really is. 16. Out of the box design. Check out this unique and unconventional design! 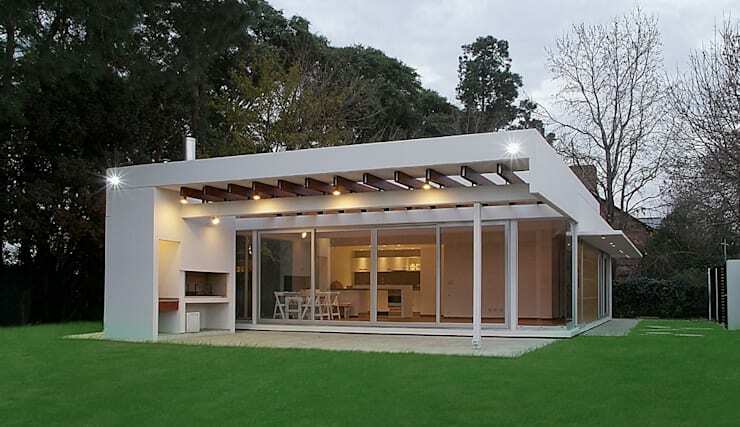 If you are the type of person that is open to new things, then these types of design architecture would suit you. Looking closely, you'll see a room tucked nicely like a nook inside a pyramid which is the roof. 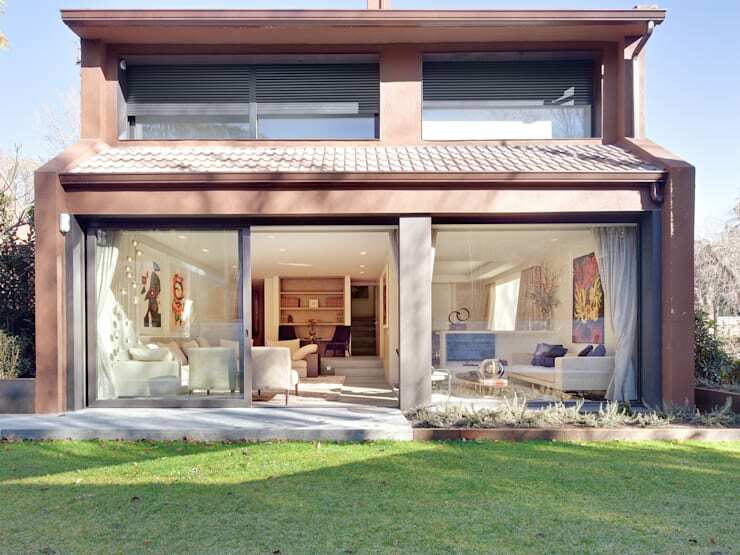 The colors as well as the lines and cuts of the of the house are also very distinctly well designed that it would be hard not to take a second look. 17. Beach shack style house. If you are an adventurer, then this summery beach shack style house would be the ideal hub for all your adventuring needs. Just imagine having a beautiful house that is perfectly crafted from the kind of lifestyle that you live!